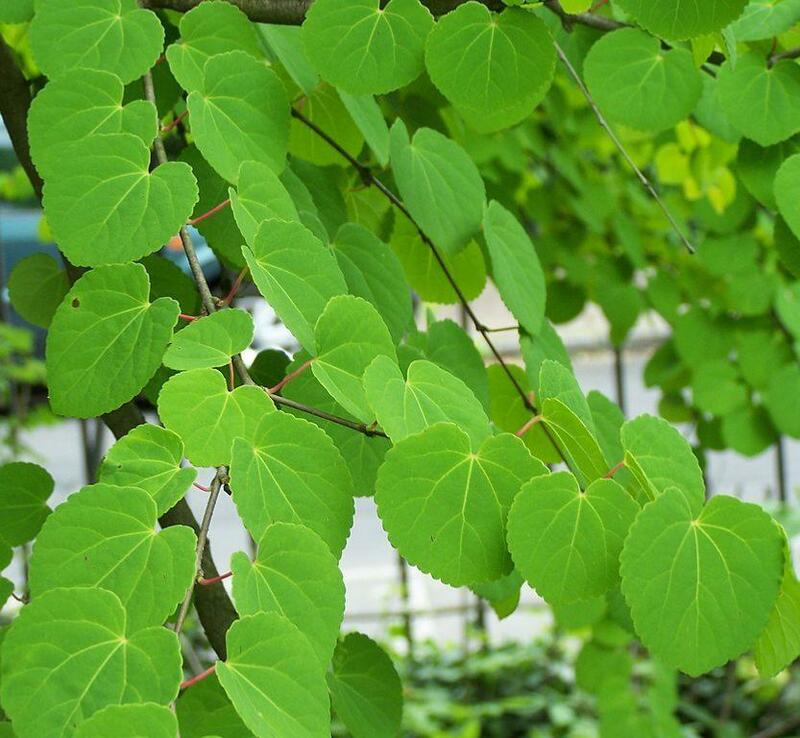 Cercidiphyllum japonicum or Katsura is a beautiful tree which can grow to more than 30m in its native Japan and China, however in Britain plants rarely reach more than 15m and is sometimes known as the Candy Floss Tree. 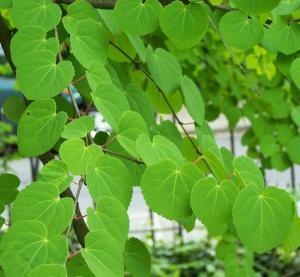 It has a rounded conical crown and attractive heart shaped leaves in opposite pairs. 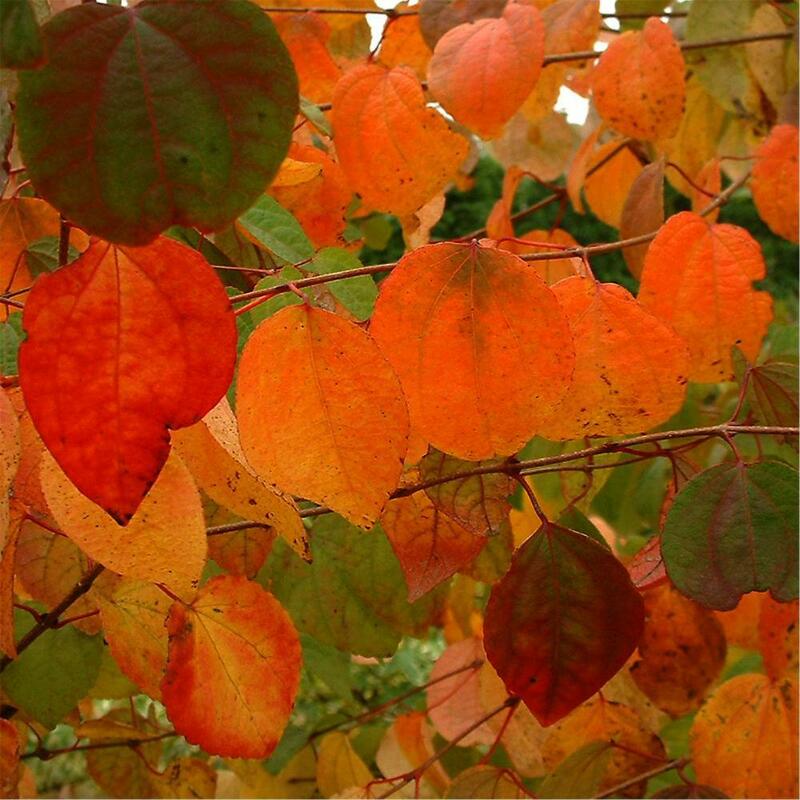 Katsura is a plant which gives interest all year round, with its constantly changing colour displays. 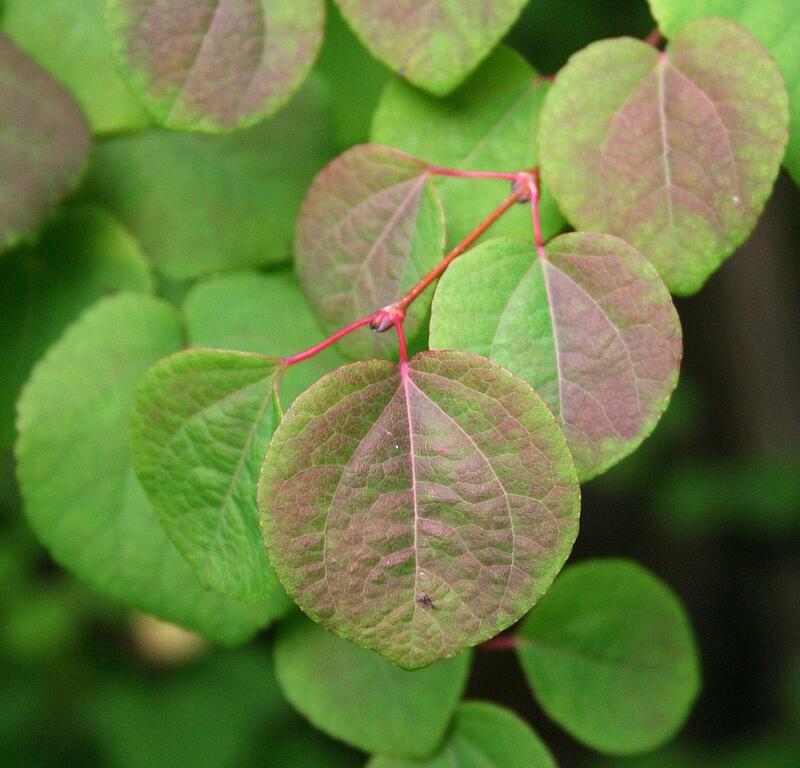 In spring, its leaves flush out pinkish-bronze, gradually turning to a lush green in summer. 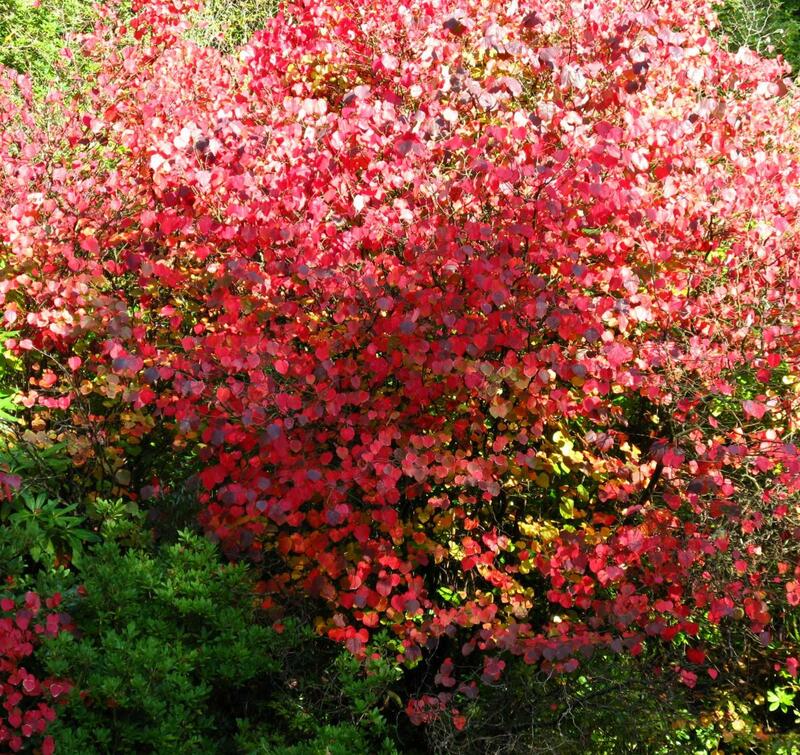 Autumn brings brilliant displays of orange yellow and red and in our opinion the best quality is the accompanying smell of burnt sugar and candy floss which drifts gently in the breeze. Neither the flowers or fruits are particularly significant.